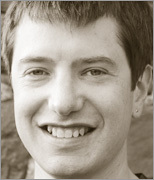 Tom White has been an Apache Hadoop committer since February 2007, and is a member of the Apache Software Foundation. He works for Cloudera, a company set up to offer Hadoop support and training. Previously he was as an independent Hadoop consultant, working with companies to set up, use, and extend Hadoop. He has written numerous articles for O'Reilly, java.net and IBM's developerWorks, and has spoken at several conferences, including at ApacheCon 2008 on Hadoop. Tom has a Bachelor's degree in Mathematics from the University of Cambridge and a Master's in Philosophy of Science from the University of Leeds, UK. In this webcast, Cloudera founder Christophe Bisciglia and O'Reilly author Tom White will provide an introduction to Hadoop/MapReduce, the open source project that allows organizations to process, store and analyze massive application datasets. "This is a 'must' for any serious programming reference library. " "If you happen to start working with Hadoop in your project or considering some of the related technologies--this book is a great start." "The book is a good reference, capturing new developments of Hadoop and its ecosystem of projects sufficiently across its breadth." "Chapter 1 should be required reading for everyone associated with the computer industry...an excellent reference work and contains information detailed enough for those wanting to dig deeper into a particular topic." "Here is the essential source of information about the Apache Hadoop open source framework, used to process large datasets. " "Now you have the opportunity to learn about Hadoop from a masternot only of the technology, but also of common sense and plain talk." --Doug Cutting, Hadoop Founder, Yahoo!